If you are in the process of planning a wedding, you probably know that costs can add up very quickly. 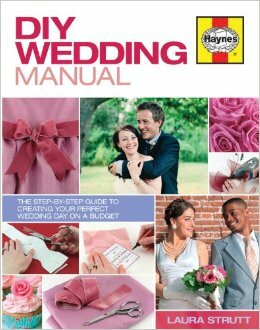 For those that are taking a do-it-yourself (DIY) approach, there are a lot of great resources at the library that can help guide you through the wedding planning process. The selection of books listed below are filled with creative, DIY ideas to help you put together a beautiful, fun and affordable celebration. Keep in mind, this is just the tip of the iceberg. Visit your local library to find more titles on wedding etiquette, flowers, cakes, making your own wedding dress, speeches or toasts, destination weddings, etc. Don’t forget that we also have wedding magazines available for you to borrow! The Knot Complete Guide to Weddings, by Carley Roney and the editors of TheKnot.com is a fantastic resource, filled with pretty much everything you need to consider while planning a wedding. This is a great book to keep you on track and ensure you don’t forget anything. Included is a section to help you manage your budget, tips for determining your wedding day timeline, and inspiration and ideas for choosing your wedding colours. 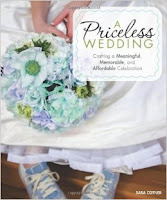 Another great wedding planning resource is, A Priceless Wedding: crafting a meaningful, memorable, and affordable celebration, by Sara Cotner. This book has more of an emphasis on tips and tricks for keeping costs low and includes lots of DIY ideas. Includes very practical advice on how to deejay your own wedding and ideas for creating low-cost save-the-dates and invitations. This book is also filled with stories and advice from couples who planned their own wedding and can share their own experiences. 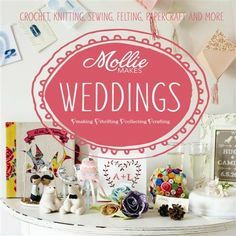 I am always impressed with the creative projects I see in Mollie Makes magazines and book series. Mollie Makes Weddings: projects & ideas as unique as you are, edited by Lara Watson, is no exception. 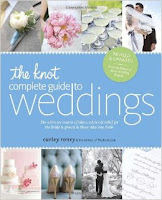 This book includes 20 different projects that you can adapt and customize for your own wedding. Highlights include napkin rings that can also be used as place cards, adorable cake toppers, and handmade corsages and boutonnieres. Templates for each of the projects are included at the back of the book. DIY Wedding Manual: the step-by-step guide to creating your perfect wedding day on a budget, by Laura Strutt is another book filled with specific project ideas. This book seems to go beyond the projects you commonly see in similar titles and includes a section on making your own wedding cake, cupcakes, or cookies, guest book ideas, and 4 different designs for order of service or wedding day schedule cards or booklets.